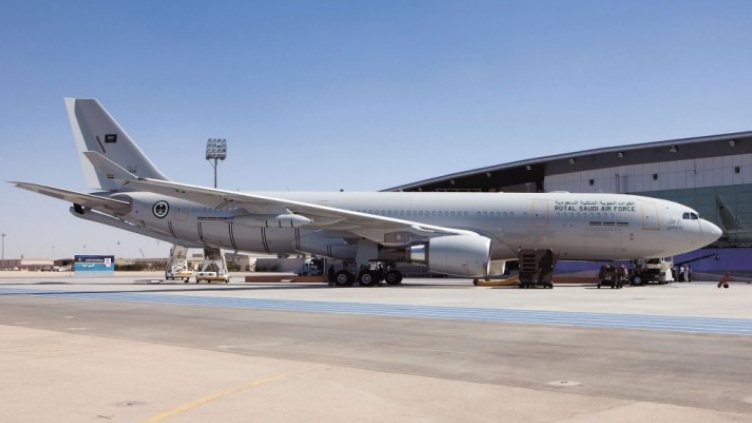 Airbus Defence and Space has delivered the sixth and final A330 Multi-Role Tanker Transport (MRTT) to Saudi Arabia. This is the third aircraft in a second batch of three MRTTs ordered by the kingdom in 2009. The previous two aircraft in the batch were delivered from 2014. The first three MRTTs ordered under a 2008 contract were delivered between 2011 and 2013. Airbus has also provided details of the new version of the MRTT, six of which will be delivered to Singapore as the launch customer. The changes relate to the fact that the baseline commercial airliner airframe from which the MRTT will be converted is a new model of the A330. The A330 MRTT is operated by the UK's Royal Air Force as the Voyager (11 of 14 aircraft delivered under a long-lease arrangement), United Arab Emirates (three aircraft), and Australia as the KC-30A (five aircraft). India has selected the platform for a six-aircraft tanker requirement, while 12 of the type are to be supplied to the French Air Force from 2018 in a configuration specific to that operator. Qatar announced an order for two aircraft. The Netherlands, Poland, and Norway are negotiating with Airbus over the pooled acquisition of a common fleet of MRTTs under an initiative facilitated by the European Defence Agency. The MRTT is also a candidate for South Korea's requirement for four tankers and a selection of the winning bid is expected at the end of this month. Airbus is also talking to existing MRTT customers about potential extra sales of one or two aircraft each. Australia publically expressed an interest in acquiring additional KC-30A tankers in August 2014. With the order book swelling there is available capacity for additional MRTT conversions should there need to be a ramp-up in production, according to Airbus. Two buildings are dedicated to the conversion work at the company's Getafe facility in Spain, the process taking between 9 and 10 months to complete. Spanish airline Iberia was sub-contracted for the conversion of two aircraft in the initial batch for Saudi Arabia at its facility at Barajas, and this capacity can be called upon again if necessary.